Although Mother Teresa’s initial calling was to become a nun, she received another calling within her calling which was to help the poorest of the poor that occurred on the 10th of September 1946 during her train ride from Calcutta to Darjeeling for her annual retreat. It has been said that God revealed his desire and his pain on how people neglected the poor and asked Mother Teresa to establish a religious community. When she had arrived at her destination, there was poverty all around her. When she looked at people, she was able to see God within every individual especially those who were disabled, diseased and abandoned. She believed that God was in disguise pleading for help to be saved and in order to help them she established a religious community called the Missionaries of Charity. From the above it states that they are unable solve all their problems. This means that the sisters of the Missionaries of Charity and Mother Teresa herself could not just automatically heal those who were suffering. As well as suffering from being diseased, ill and disabled, they were also suffering from being unloved as families had turned away from them. Those with leprosy were to isolate themselves and hide so they wouldn't spread the disease. Those who were disabled didn't have their family to look after them and those who were abandoned didn't have anyone to help them out such as offering food, water or shelter. In order to help out and to fulfil her calling, Mother Teresa along with her sisters of the Missionaries of Charity showed them love by taking care of them, providing them food and shelter. By doing this, it showed that those who were suffering were not alone and that there are people who love them regardless, especially God which is started in Isaiah 43:4 which says “You are precious to me and I love you”. 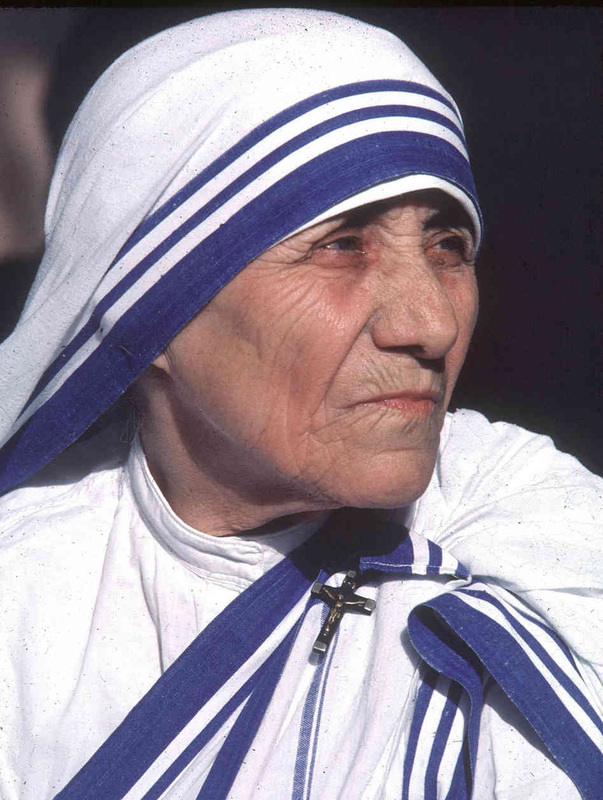 As there were many people suffering, as well as Mother Teresa establishing the Missionaries of Charity which consisted of different divisions of work to help out, she also created hospices. Each hospice was dedicated to certain people who were suffering. There was the hospice for those with leprosy, those who were disabled and dying and a ‘hospice’ for the abandoned. Mother Teresa created a hospice as she believed that her call was caring for the sick and poor. By doing this it allowed the people who were sick to die with dignity. As well as creating a hospice she had established a charity called ‘Missionaries of Charity’. The charity has over 5000 sisters working and hundreds of thousands of volunteers working in the hundreds of centres located around the world.